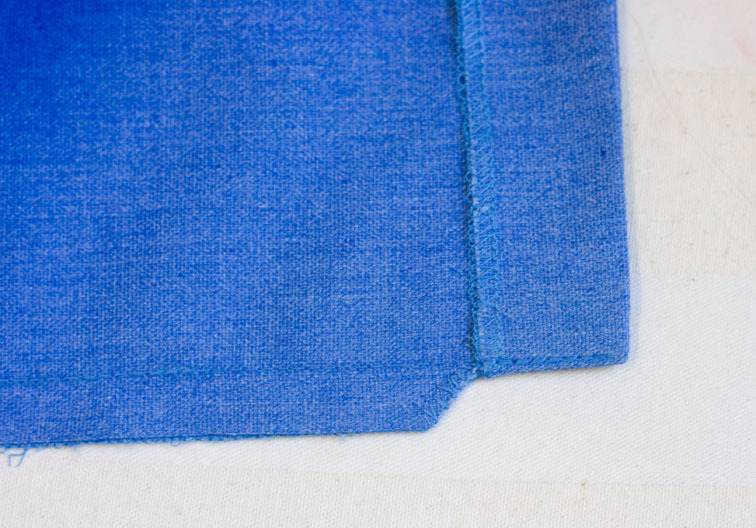 The front pleat on my 1969 Burda Dress is an inverted pleat – where two folds turn towards each other to meet on the outside. 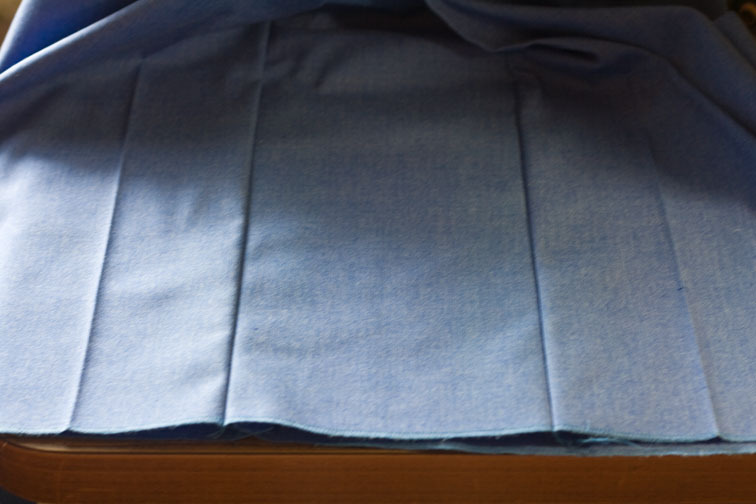 These can be folded from a single Front panel, or as in my case, made from separate R and L Fronts and an extra centre panel that forms the back of the pleat arrangement. 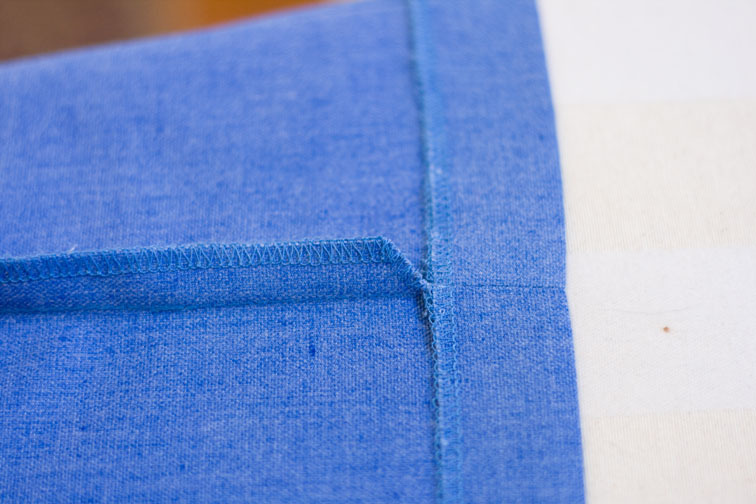 These two seams are not pressed open, but lay flat towards each side so that they form the inner ‘fold’ of the pleat. This causes a slight complication at the hem as it cannot be turned up in the normal manner. 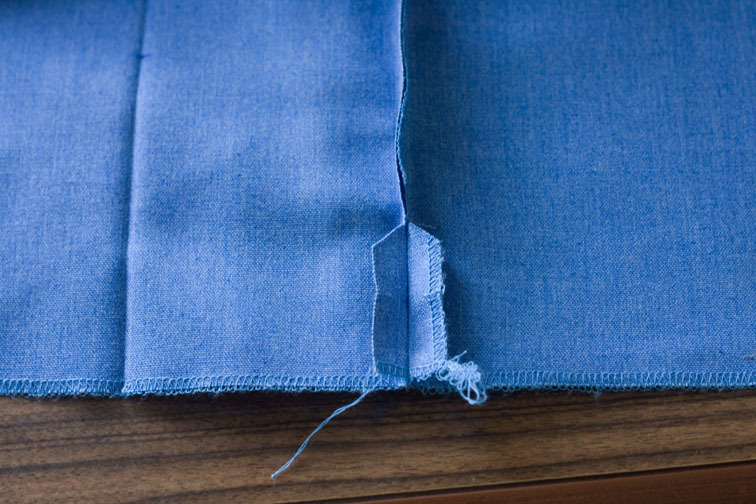 The easy way to approach this is to hem each panel separately first, then sew the seams of the pleat. 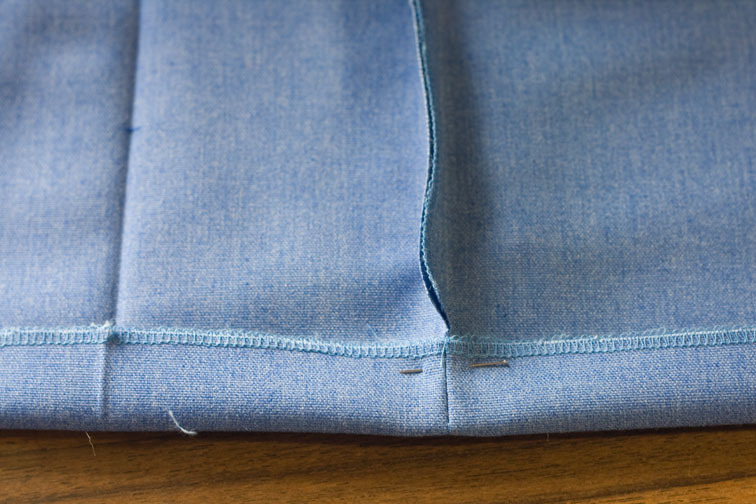 This has a disadvantage in that the seam allowance is readily seen at the hem fold. Instead you can try the method I’ve used here. This helps hold that foldline in position forever, and makes it easier when pressing too! 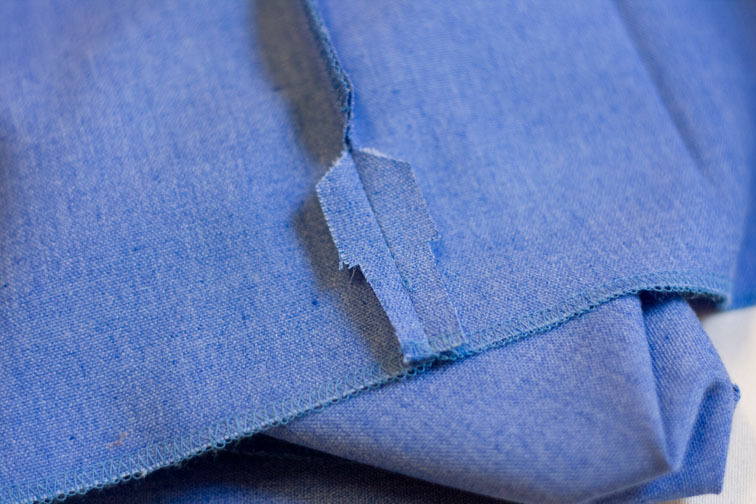 A box pleat is the reverse of an inverted pleat, and any seams on the inner fold will lay towards the centre. 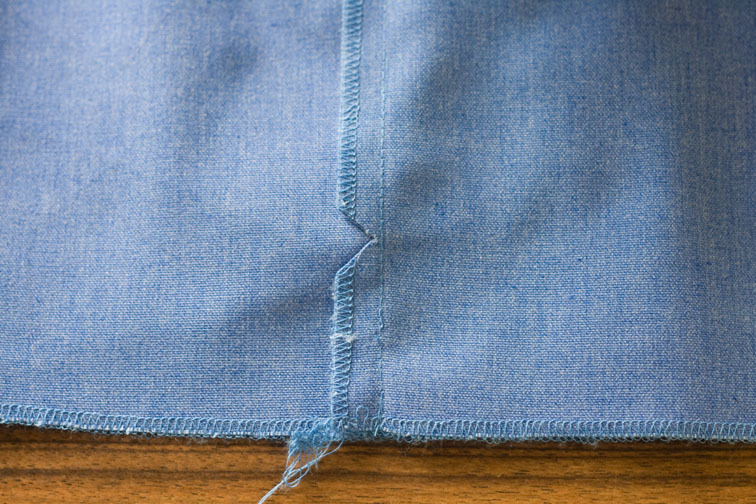 You can use this hem technique on a box pleat as well, or any other pleat designed with a seam – it gives a tidier finish, don’t you think? Thanks for this tip. I once tried sewing this kind of pleat and made a real mess of it. Next time, I'll be armed! Terrific info. Wish I'd seen this before I hemmed my pleated culottes! This is SO timely! I've got to finish up my Anna Maria Horner skirt that has pleats to it. Thanks so much. This is totally getting bookmarked for future use! Thanks! 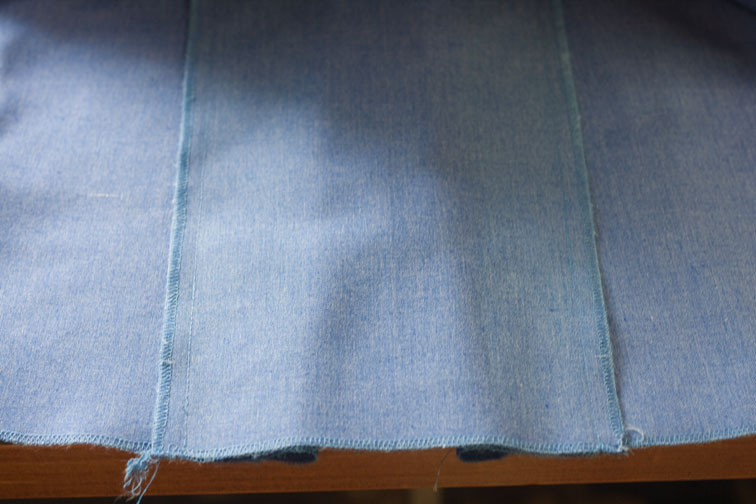 Very nice, at some point perhaps you would consider posting how to line such a pleat? Thank you Sherry for another great tutorial. Great tutorial – thanks as always. Thank you for this tip, box pleats are so in for winter and I was wondering how I would do my hem, thank you again. 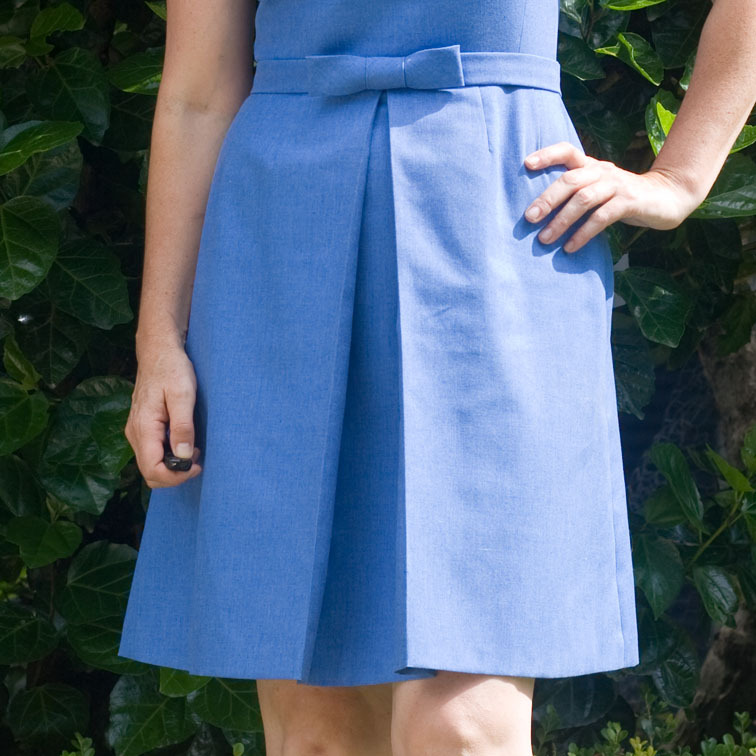 I had an school uniform with an inverted pleat. Thank you for the hemming instructions. what a very neat result, and your instructions are soooo clear, many thanks! As always, your tips/tutorials are the best. Thanks so much for sharing with us! What an amazing solution. Thanks for sharing. Sherry thank you. You've resolved the problem I have with my orange ponte skirt which has two inverted pleats at the back that dont sit right because my hem treatment was incorrect. Next time will be perfect. 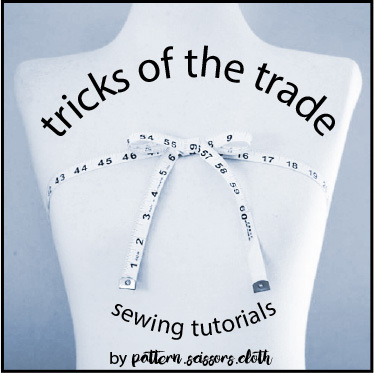 Thank you so much for the sewing tricks. Must use this one from now on. Thanks again. Thanks for another great tutorial! You really have some great tips and tricks! Thank you! I'll be using this soon on V2903. Wonderful tip! Thank you so much.